Islamic microfinance is a specialized part in a growing and diverse body of microfinance literature. To date, there are quite a few papers on Islamic microfinance that are published in reputable journals, which fairly represent the size of Islamic microfinance industry compared to the overall microfinance sector. 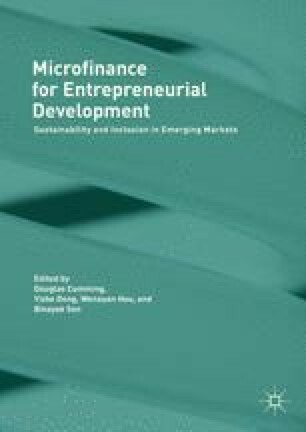 This chapter aims to provide an overview of Islamic microfinance in the context of mainstream microfinance sector and highlights some of the salient features that differentiate Islamic microfinance with conventional or overall microfinance. It will discuss the origin, different approaches in the development, and characteristics of Islamic microfinance. These will be followed by discussion on lending models, sources and uses of funds, and poverty impact of Islamic microfinance institutions. Finally, this chapter will conclude will some thoughts on possible opportunities for future Islamic microfinance research.